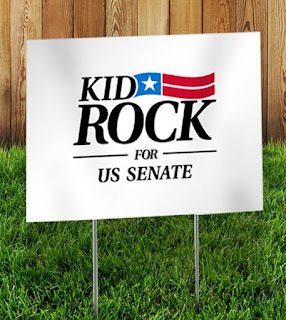 Civil rights activists are calling for Kid Rock's upcoming run of concerts in his native Michigan to be cancelled after he delivered a fiery political speech onstage on Wednesday (September 6). The musician, real name Robert Ritchie, was performing at the Van Andel Arena in Grand Rapids, when he halted the show to deliver a expletive-laden speech about American Footballer Colin Kaepernick, the quarterback who made headlines for kneeling during the U.S. national anthem before games last year (2016) to protest discrimination against African-Americans. "If you want to take a knee or sit during our Star-Spangled Banner, call me a racist (because) I'm not PC (politically correct) and think you have to remind me that Black Lives Matter," he growled. "F**k Colin Kaepernick, and f**k any motherf**ker who decides to disrespect the national anthem." Now activists at the Damon J. Keith Center for Civil Rights at Detroit's Wayne State University are calling Kid Rock's scheduled performances at the Little Caesars Arena in Detroit "incredibly tone deaf", insisting "everything is different post-Charlottesville," the Virginia town where an anti-racism protester was killed during a neo-Nazi rally last month. Director Peter Hammer says, "These are moments where you have to act as a matter of character and state what your values are. Everything now is becoming symbolic. That means we have to choose our symbols carefully." And organisers at Reverend Al Sharpton's National Action Network's Detroit chapter are asking for Kid Rock's upcoming concerts to be cancelled following his onstage outburst. They are also planning to protest next week's shows. 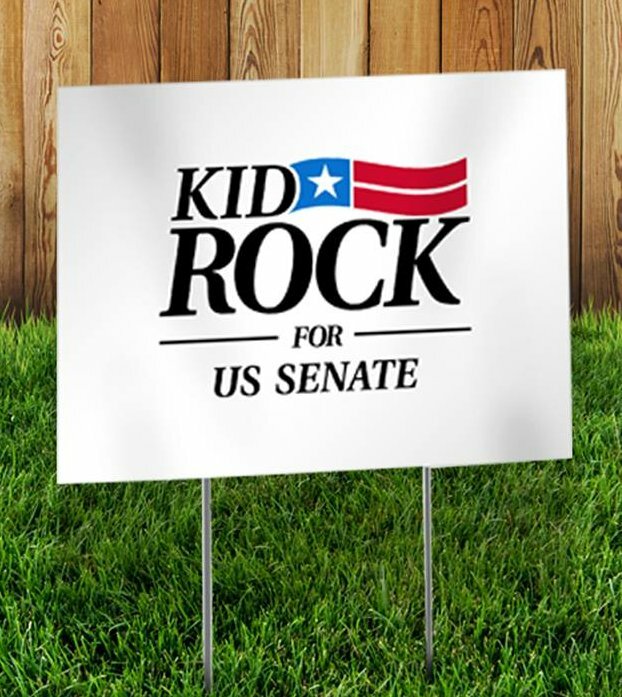 The controversy comes in the middle of Kid Rock's potential U.S. Senate run. In July (17), he announced that he is considering challenging Democrat Debbie Stabenow's seat in his native Michigan in the 2018 election. During his concert rant on Wednesday, Kid Rock also made it clear he's not a fan of neo-Nazis either, urging them to stay away from his gigs: "Nazis, f**king bigots and now again the KKK (Ku Klux Klan), screw all you "a**holes, stay the f**k away," he raged.